Ducati unveiled its 2016 lineup of motorcycles a day ahead of the Milan Motorcycle Show in Italy. 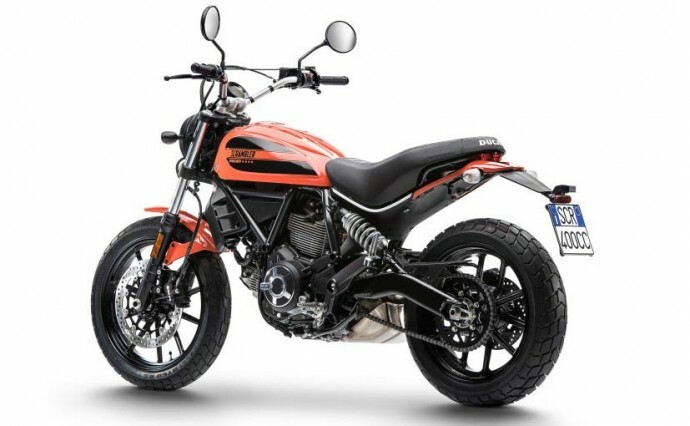 The Scrambler is one of the three launches which is now available with 400cc engine. The 400cc bike is named Scrambler Sixty2 and is inspired by youth street culture, skateboards, street food, pop music and everything else from 1962 (that saw the launch of the very first Ducati Scrambler). The Scrambler Sixty2 looks very much like the Scrambler in India. The Sixty2 features slim steel fuel tank with 14-litre capacity and is available in three colours – Ocean Grey, Chignon Black, and Atomic Tangerine. The Sixty2 retains the signature Ducati L-Twin configuration and there’s a wet, cable-actuated clutch and a six-speed gearbox. The 400cc Desmodronic, air-cooled engine is capable of 41bhp as compared to the 75bhp offered by the 803cc Scrambler. Right now, the most obvious contender to the Sixty2 is BMW Motorrad’s newly launched G 310 R. The exact Indian pricing of the Sixty2 hasn’t been revealed yet but the bike is likely to fall between Rs. 4-5 lakh and will be the most affordable bike in its class. Will the Future of Driving be Driverless Cars?